I’m going to be blogging about our favorite back to homeschool traditions that we enjoy each year. Our first stop is our pj tradition! This is my favorite back to homeschool tradition. 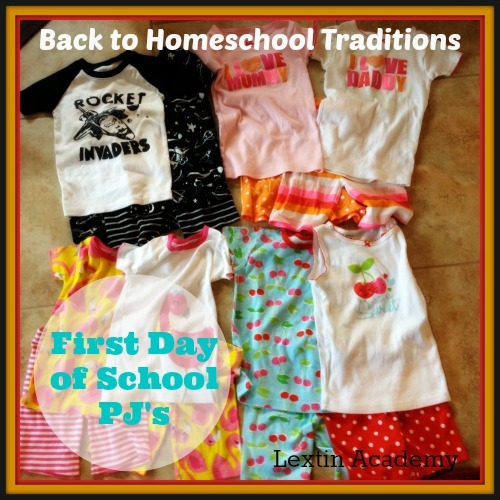 We get our kids a new set of fun pj’s for the first day of school! We jokingly call our pj’s “our school uniforms” so the kids are always excited to get a new pair. Each year I order them new pj’s and hide them in the house. The night before our first day I present them with their new jammies and they get to try them out after bath time. They make for very cute pictures to document our first day of school!